The Camp Chef Italia Pizza Peel simplifies artisan pizza preparation. Simply dust the peel with flour, spread your pizza dough out and add toppings. Your pizza creation will then glide into your pizza oven with ease, just like a true artisan! 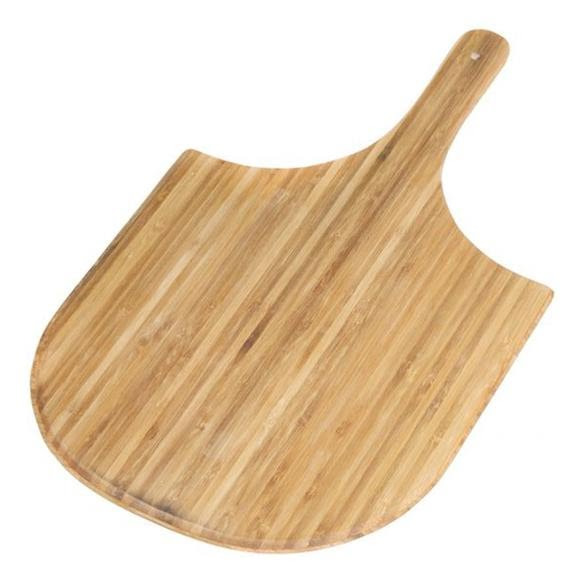 A pizza peel is essential when creating your own homemade artisan pizza. Dimensions (packed) 11.75" x 19.25" x .354"